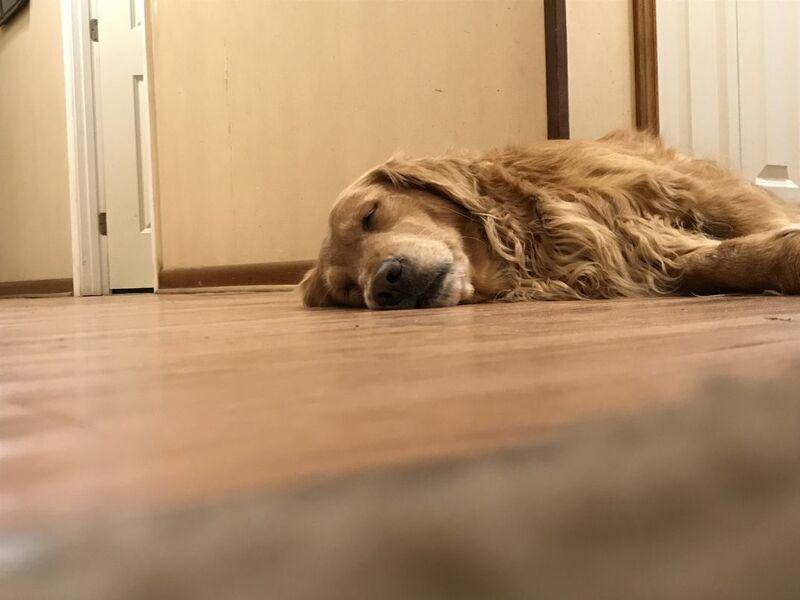 This is my dog Molly in her most natural position, sleeping in the hallway outside my bedroom. If she startles awake from this position, one side of her face is asymmetrically flat for several minutes after. Date Uploaded: Oct. 29, 2018, 9:48 p.m.